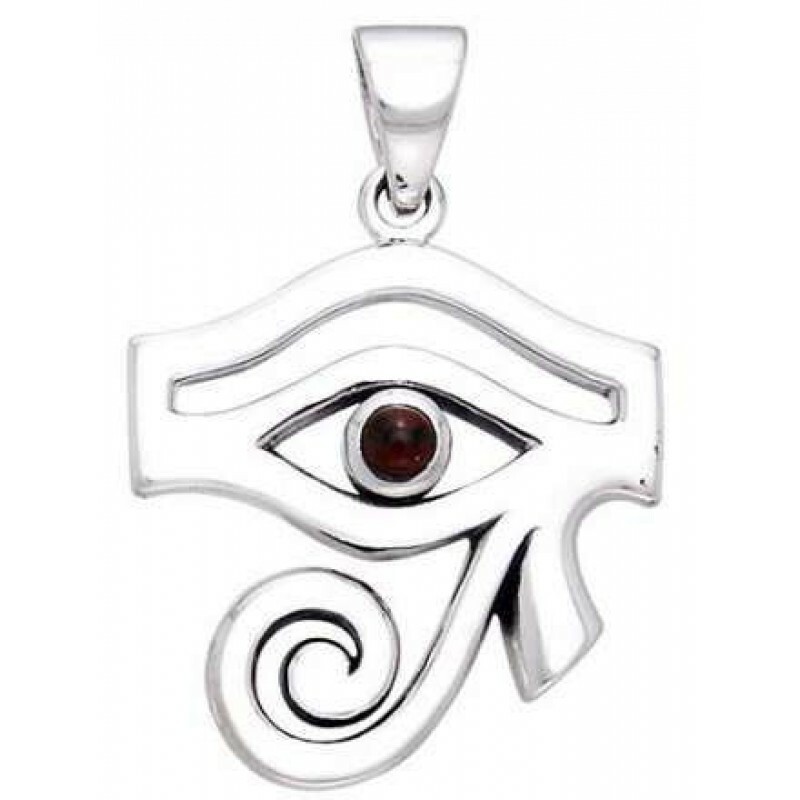 A simply elegant Egyptian Eye of Hours, a symbol of protection, accented with the gemstone of your choice in fine sterling silver. 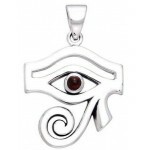 This stunning sterling silver Eye of Horus is accented with your choice of gemstone. 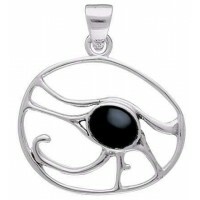 Solid sterling silver is about 7/8 inches wide with an attached bail. 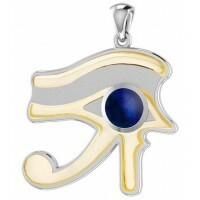 The Lapis, Black Onyx, and Rainbow choices are synthetic. All others are natural stones. 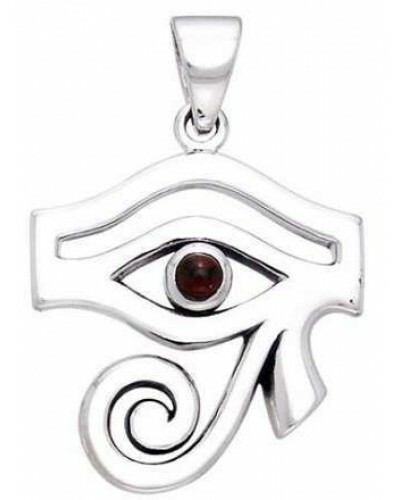 Made to order by hand especially for you of the finest .925 sterling silver - Please note this item is made to order so allow extra time for delivery. 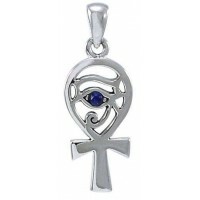 It generally ships within 2 weeks though can be longer during holidays or other peak seasons. Item Number: PS-TPD1717 | Approximate Size (Inches): 0.70 wide x 0.05 deep x 1.00 high | Approximate Shipping Weight: 0.25 lbs.